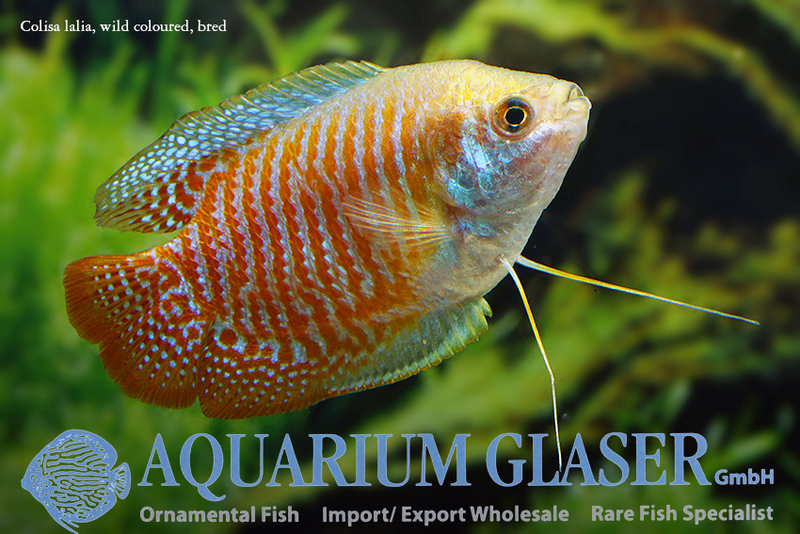 The dwarf gourami is the perfect ornamental fish. 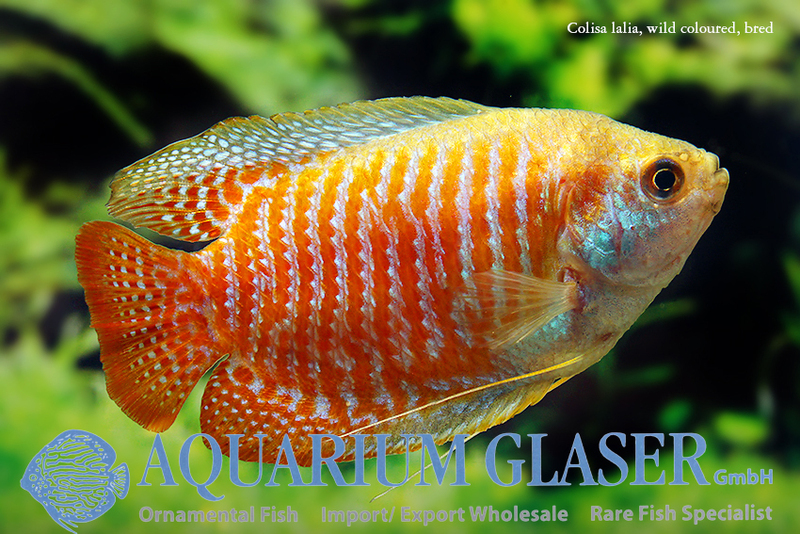 It unites magnificent coloration, a peaceful mind and an interesting behaviour. 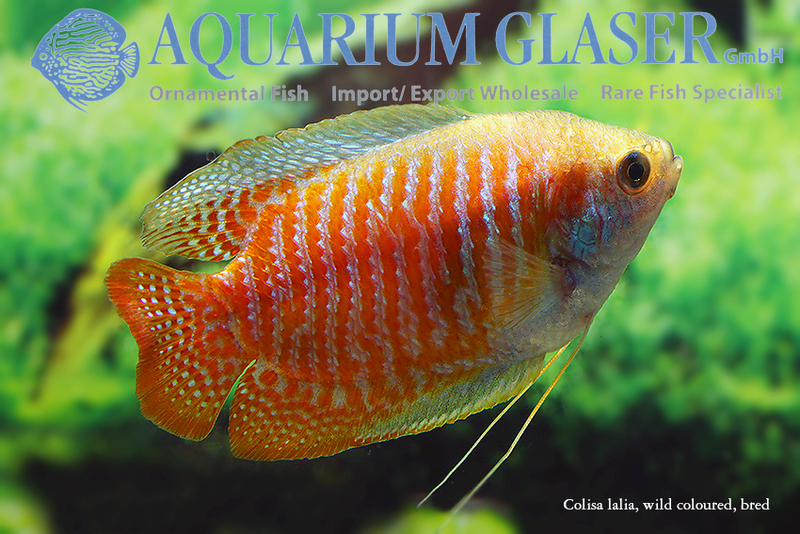 It becomes only 3 cm (wild caughts) or 6 cm (artifical bred sports) long and due to its calm habit it can be kept even in smaller tanks. 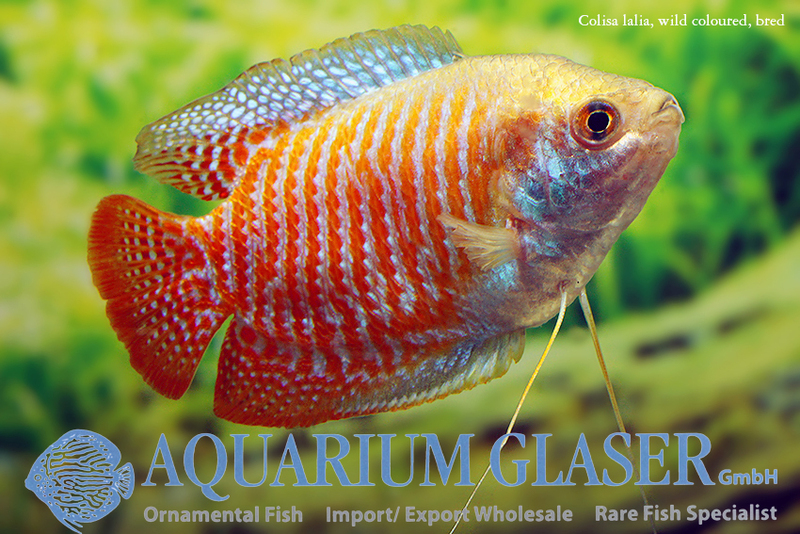 And if it comes to feeding: the dwarf gourami happily accepts any type of fish food, may it be dried, frozen or alive. 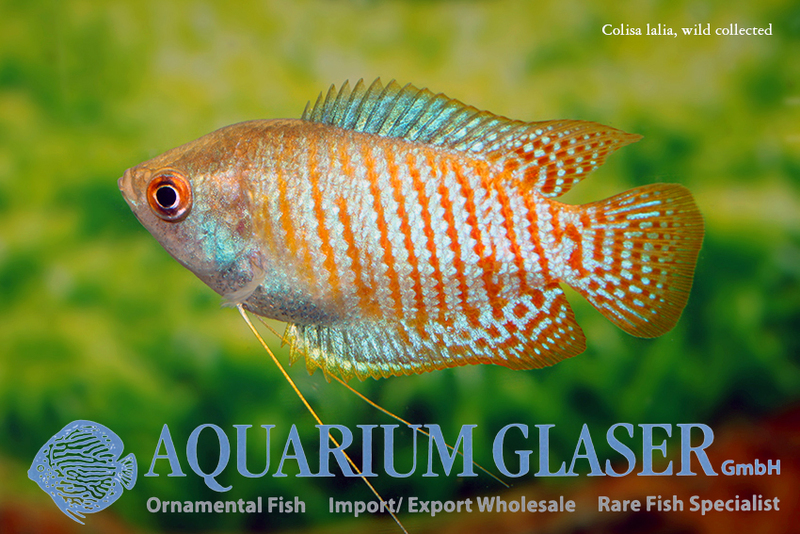 The only condition: food particles must not be too big, because the dwarf gourami has a tight throad. 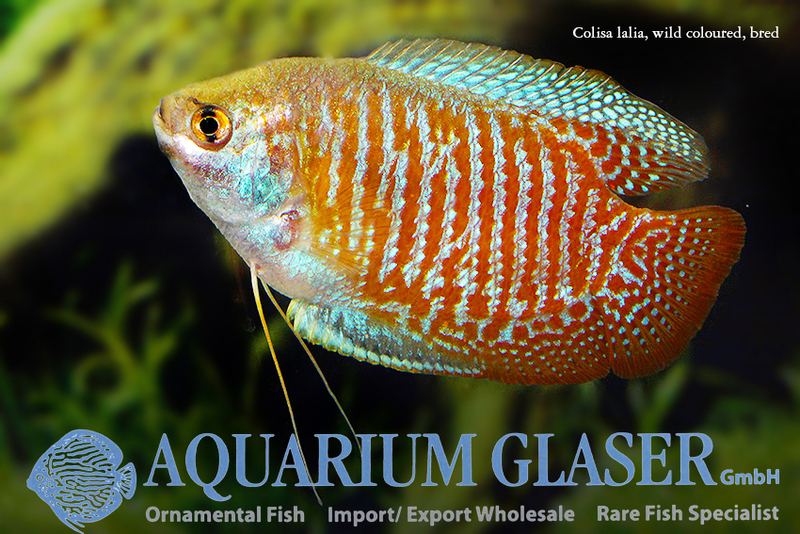 Sometimes the dwarf gourami is named Trichogaster lalius, but this is an opinion we do not follow. 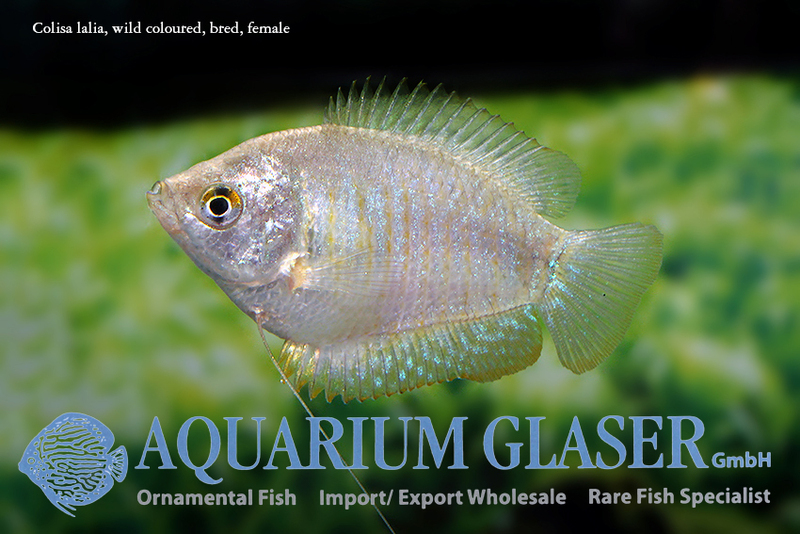 For our customers: the xxl show animals (bred ones) have code 411505, the wild collected ones 411523 on our stocklist. Please note that we exclusively supply the wholesale trade.